Thürlings Bag Packing Machines – Made in Germany. If you want to pack your products in bags, then you are in exactly the right place visiting with us. 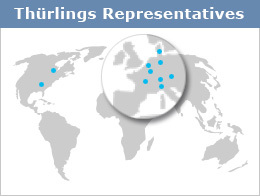 The name Thürlings represents decades of experience in the design and manufacture of packaging and counting machinery. Let us convince you of our technical know-how and the exceptional quality and durability of our machines.